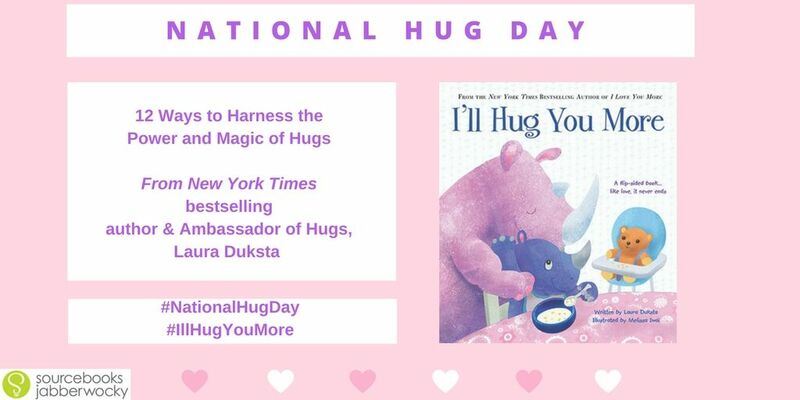 Hugs can say a lot of things like “hello,” “thank you,” and “I’m sorry.” But underneath it all, every hug says “I love you.” Share I’ll Hug You More with someone you care about and remind them that every hug is a special message of love! 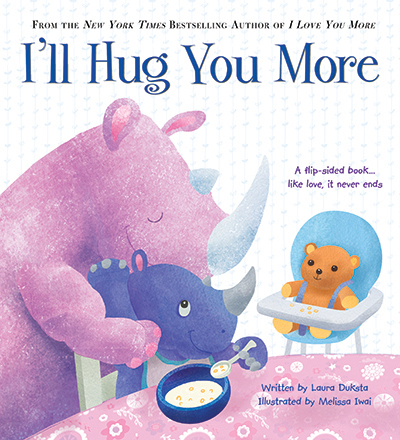 Laura Duksta and Melissa Iwai have created an absolutely adorable book with I'll Hug You More. 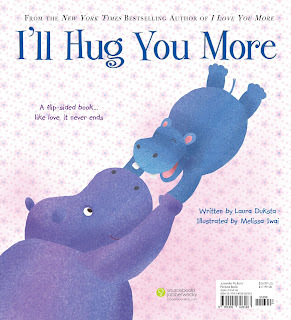 Being a fan of hugs myself, I was definitely interested in having a look at this book. 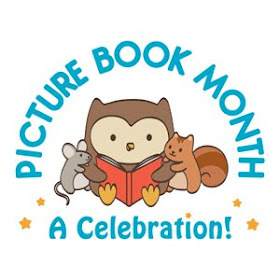 I wasn't aware at first that it's a flip book, but it is, which means that one side looks at hugs from a parent's perspective, and the other (flip) side looks at hugs from the child's perspective. 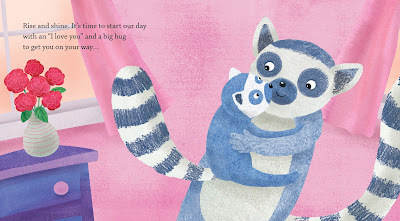 I loved seeing all the different animals hugging and showing love for each other. This book would be great for bedtime, or any time really that parent and child need to cuddle or share love with each other. I can't imagine reading this book without hugging someone afterwords. Laura Duksta believes that when people know they are loved, anything is possible. 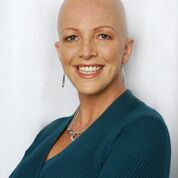 Laura lost all of her hair to alopecia areata at the age of 11. It took her many years to love herself and to allow others to love her. Laura knew from a young age that she was meant to travel the world, meet her brothers and sisters, and spread the message of love. She is now fulfilling this mission through her book, school programs, and inspirational talks. Laura resides between Nashville, TN, and Fort Lauderdale, FL. Visit Laura at www.lauraduksta.com. 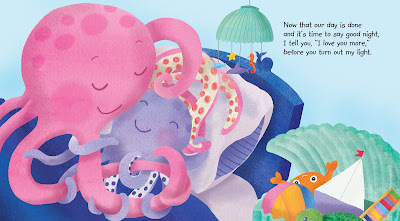 Melissa Iwai is an illustrator and author of children’s books. HUGS... wondering what you can do to foster healthy self-esteem in your children, HUG THEM, it creates a sense of connection and belonging which they’ll take with them into the classroom and out into the world. HUGS allow us to love and to be loved, and to feel connected, some say these are the reasons for our existence. HUGS can shift our energy. An upset child can often be comforted by taking a few deep breaths, meeting them at their height and offering a hug until their upset subsides. This works the other way too, a child often senses when you’re upset, let them come in and give you a hug. Hugs can remind us what’s important and help us regain perspective. HUGS heal. Researchers have only scratched the surface in studying the heart’s electromagnetic waves. When we connect in a heart to heart hug there’s a chance were harnessing the most powerful ‘medicine’ of all. HUGS help generate oxytocin which reduces stress producing hormones. Hugs also release dopamine which give us a feel good feeling and helps to motivate us. HUGS are a one powerful way to experience the healing and nurturing power of touch, but there are others, consider a mani/pedi or a massage. Not quite ready for human touch, test out the power and magic found in hugging a tree! HUGS are perfect by design. We live in a universe of duality where we have support and challenge, happiness and sadness, health and sickness, winning and losing, though experiencing these things at different times often knocks us off balance. A HUG is the perfect gift where we share the power of giving and receiving simultaneously. HUGS connect us soul to soul. They’re a universal language we all can understand. HUGS BONUS .... your biggest benefits will come from 20 second HUGS, so extend your heart and your arms, take your time and make it count!